In a major victory for limited-government advocates, the Supreme Court unanimously found that a constitutional ban on excessive fines that Indiana had argued applies only to the federal government applies to all U.S. states. Civil libertarians have long complained that asset forfeitures arising from criminal convictions and cases in which a person is merely suspected of a crime can be arbitrary and excessive. “Today’s ruling should go a long way to curtailing what is often called ‘policing for profit’—where police and prosecutors employ forfeiture to take someone’s property then sell it, and keep the profits to fund their departments,” Wesley Hottot, a senior attorney with the Institute for Justice who argued the case Nov. 28 last year, said in a statement after the court released the decision. The ruling, which compels states to abide by the Eighth Amendment’s excessive fines clause, may embolden others whose assets have been seized to challenge those forfeitures in court. Those legal challenges may drive states and localities that rely on forfeitures to find new sources of revenue. The Feb. 20 decision overturns a ruling by the Indiana Supreme Court that the state was entitled to keep a 2012 Land Rover LR2 valued at $42,000 that was confiscated from Tyson Timbs. Timbs used the vehicle when selling a total of $385 worth of heroin to undercover police, a crime for which he was convicted. He entered a guilty plea and was sentenced to a year of house arrest and five years of probation, but no prison time. The legal theory behind asset forfeiture is that because the vehicle was used to commit a crime, it becomes an instrument of the crime and can be seized. A private law firm sued on behalf of the state to force Timbs to forfeit the vehicle. Although the original trial court found Timbs used his car to transport heroin, it held that seizing it would be “grossly disproportionate” to the offense and, therefore, unconstitutional. The decision was reversed on appeal. “Tyson paid his debts to society,” Hottot said after this week’s ruling. The Supreme Court’s official opinion was written by Justice Ruth Bader Ginsburg, who turns 86 on March 15. 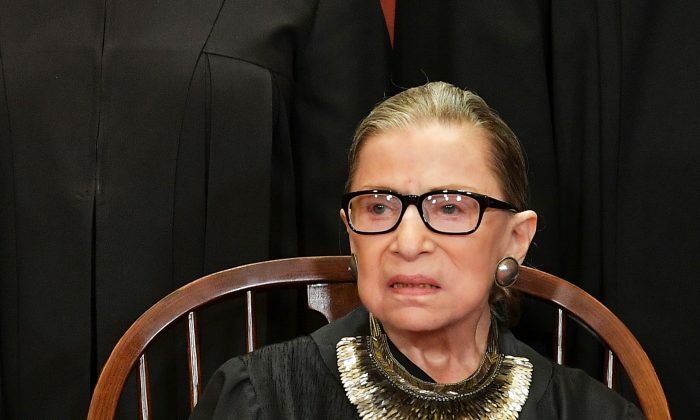 Ginsburg has been away from the bench for much of this year recovering from surgery. “For good reason, the protection against excessive fines has been a constant shield throughout Anglo-American history: Exorbitant tolls undermine other constitutional liberties,” Ginsburg wrote. Justices Neil Gorsuch and Clarence Thomas filed separate opinions concurring with the judgment, but disagreeing with the reasoning adopted by the court.